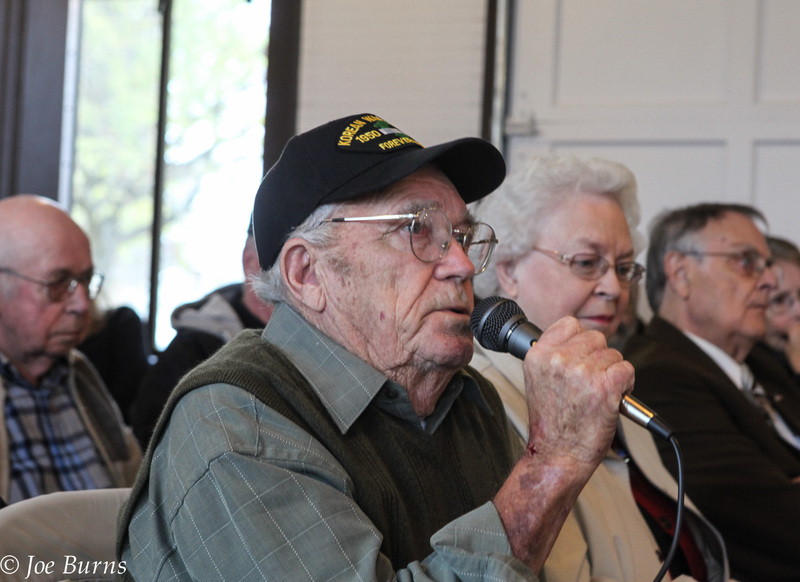 Men and women who served in the military during the Korean War veterans, shared stories, photos and mementos at an open house at the Depot in Lions Park on Veterans day. The event sponsored by the Blair FBLA honored those who served during the Korean War years and commemorated the 60-year anniversary of the end of the fighting in that war. Bob Wallace was one of the two dozen or so veterans who talked about his experience. Wallace had worked in a print shop before hew was drafted into the infantry. While he was on his way to Korea, his orders were changed and he spent the remainder of his tour working in the Army Far East Army Printing and Publications Center printing psychological warfare materials. Wallace said he is proud of his service and his training as an infantryman. He said he was disappointed that he was not allowed to stay with his unit in Korea. Depot in Lions Park on Veterans Day.